With our partner airline Air Transat, we can fly you from London Gatwick, Manchester and Glasgow to Toronto, Montreal, Calgary and Vancouver. 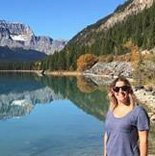 If you fancy getting off the beaten track to a different Canadian airport, we can easily book other airlines too as a tour operator. This gives you the most flexibility when it comes to planning your holiday. Plus our open-jaw options let you fly into one city and return from another - perfect for road trips. Toronto and Montreal are two easy gateways into Canada's East. Toronto is just 90 minutes from Niagara Falls and is close to Ontario's lakes and rivers, as well as the capital Ottawa. From Montreal you can explore Quebec City and the St. Lawrence River. 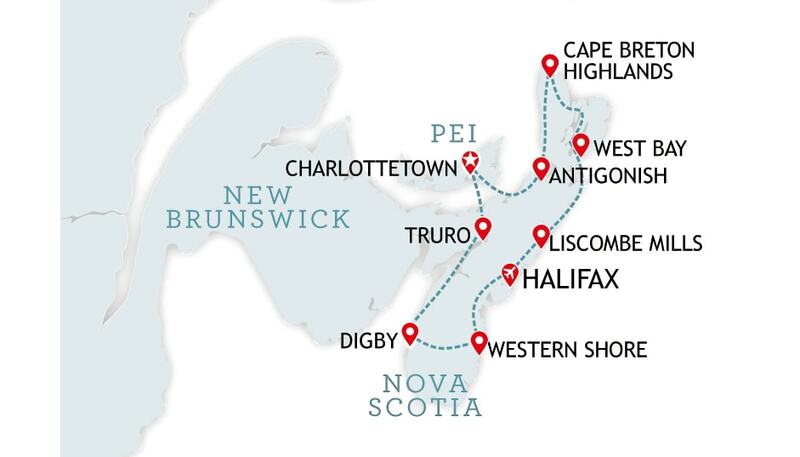 You can also fly into St John's in Newfoundland and Labrador or Halifax in Nova Scotia to explore Atlantic Canada and the Maritimes. St. John's is actually the shortest flight from the UK to Canada at just 5hrs 40mins! Calgary is the gateway to the Rockies, boasting an enviable position in Alberta just an hour or so's drive from Banff National Park. Vancouver is perched on the Pacific Coast in British Columbia, 90 minutes from Whistler. 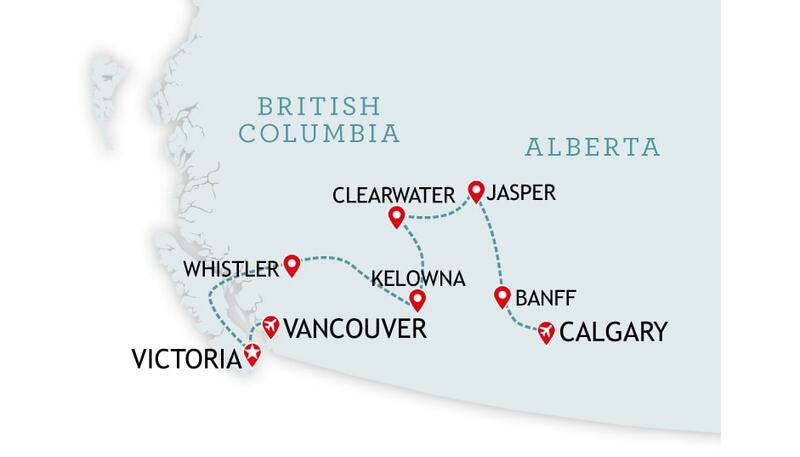 It's the perfect starting point to explore BC's temperate rainforests and wine regions. Flying into one and out of the other is a great option for a Rockies road trip. You can also fly into Edmonton in Alberta or Winnipeg in Manitoba to experience the prairies. After a busy day of sightseeing, you want to relax somewhere that feels like home. We'll help you find the perfect place to stay, whether you'd like to visit a city or embark on a road trip. Choose from downtown hotels in cities like Toronto, wilderness lodges in remote rainforests and everything in between. Speak to us about your holiday plans and we'll create a tailored experience, recommending hotels that will fit into your journey and suit you perfectly. Has one of our expertly-created packages caught your eye? Our tours are perfect for providing inspiration, but sometimes you might like to change an element or two. With us, that's no problem. Let us know which tour has you feeling excited and we can discuss upgrading hotels or adding a few extra hotel nights. We regularly visit the hotels we sell so that we can give you the best advice. Is it family friendly? Easily accessible? Knockout views? Just ask us. Canada is a huge country. Hiring a car gives you the freedom to explore at your own pace and cover those bigger distances, but it can be tricky knowing where to start. That's where our experts are invaluable. We'll advise on driving times between attractions, show you the best places to stop along your route and help you find those hidden gems. Our partner, Avis gives you a huge choice of cars, with pick up and drop off depots across Canada and no one-way fees. If you're tempted to go for a compact car because you're not sure about driving abroad, let us reassure you - driving in Canada is easy! The roads are wide and quiet and drivers are polite. If you choose a bigger SUV, you'll get unbeatable views from the higher seats and those mountain roads will be a piece of cake. Insurance and unlimited mileage are included so you won't have to worry about that. We'll help you find the right car that suits your group and journey. Canada is stunning, and while we could look at those views all day, we'd rather dive right in. 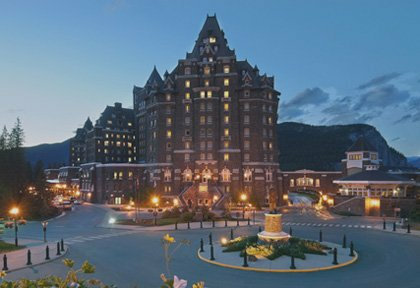 Excursions are the active elements of your holiday that get you beyond the surface of Canada. It could be a trip up the CN Tower, a sightseeing tour of Ottawa or a zip line over Whistler's forests. Our advisors will help you find the adventures that really bring Canada to life. Just give us a call to talk through the things you'd like to see and the types of activities you enjoy. On the East Coast, our favourite excursions include the Hornblower Cruise at Niagara Falls and the daring EdgeWalk around Toronto's CN Tower. 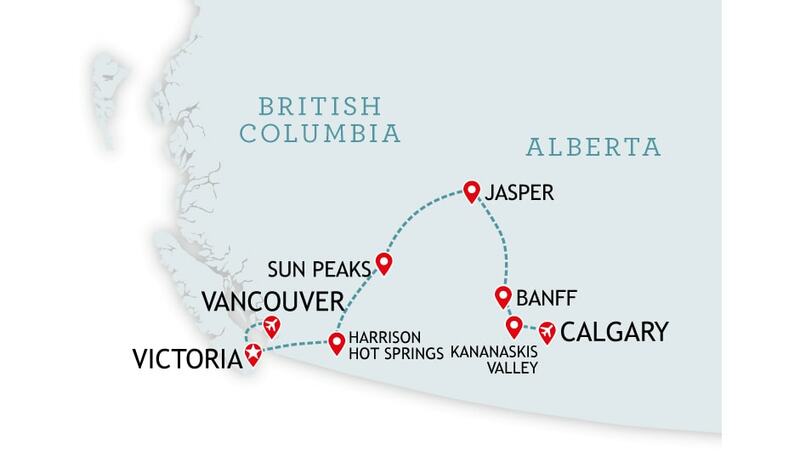 In Western Canada, you can horse-ride through the Rockies or walk on the face of a glacier in Jasper National Park. You can choose from sightseeing tours, wildlife watching, canoeing, kayaking and so many more. Just give us a call and we'll be happy to share our knowledge of the great adventures Canada offers. We all love to travel, but nobody enjoys feeling like a tourist. 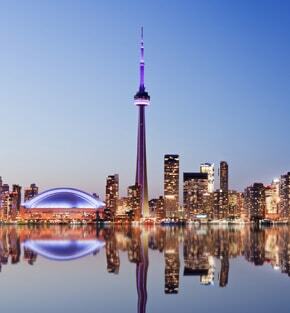 When you book with Canadian Affair, we make getting around and seeing the sights easy. You'll feel at home before you even arrive. Chat with our passionate experts who'll listen to exactly what it is you're looking for and then craft a holiday around your ideas. We'll share our knowledge and hidden gems with you so you can explore like a local. After all, it's every adventurer's dream to get beyond the surface of a destination and to the heart of what makes it so special. From tried-and-tested restaurant favourites to must-see stops on your trip, we'll save you time researching and make sure you see the insider's Canada. We've all been to Canada ourselves, so when you ask us for advice, you'll know it comes from the heart. We'll share our passion with you and help you find those gems that you're desperate to see. For blue glacial lakes and mountain views, you can't do better than Whistler, Banff and Jasper in BC and Alberta. 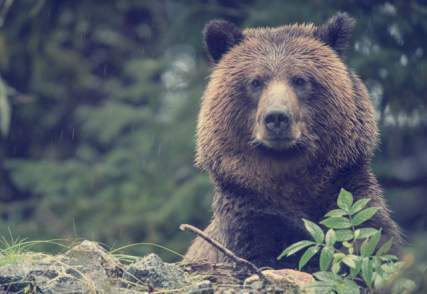 For black bears, try Vancouver Island, or head to Quebec for whales. 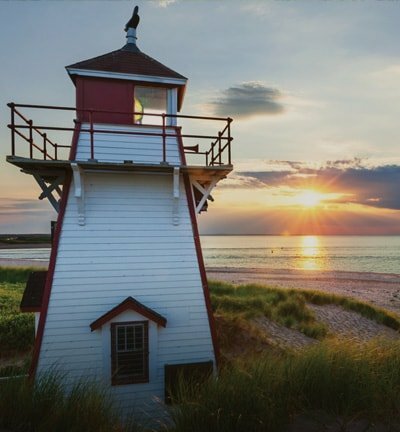 Atlantic Canada is a hidden gem for lighthouses and lobsters. Canada is spectacular all year round but the seasons are very different. If there are certain sights you have your heart set on, then it helps to be in the know. 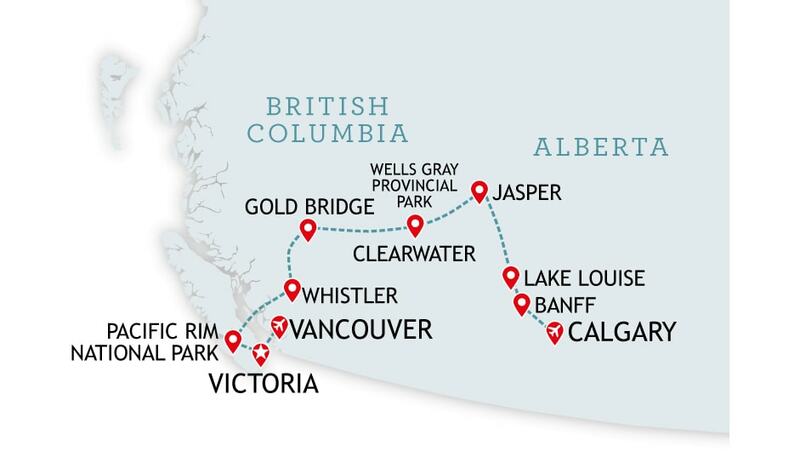 For whales and bears, you'll need to visit between May and September. For the Northern Lights, it's November to March. You can ski from November to May and see those famous fall leaves in Ontario in September. Just speak to our experts and we'll be happy to share our knowledge with you to tailor the best possible experience. 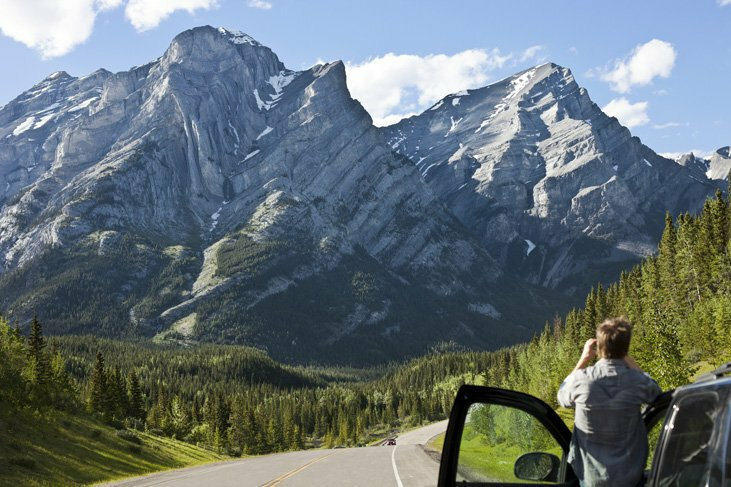 There are so many ways for you to explore Canada. Take a look at our handcrafted itineraries for inspiration & then talk with us to design your trip. Pair ocean with mountains in Vancouver or scale the CN Tower in Toronto. Find out why Canada's cities are a little bit different. 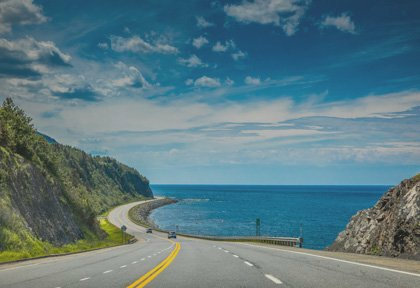 From the Rockies to the Pacific, Niagara Falls to the Maritimes, our incredible road trip itineraries are packaged with flights, hotels & car hire. 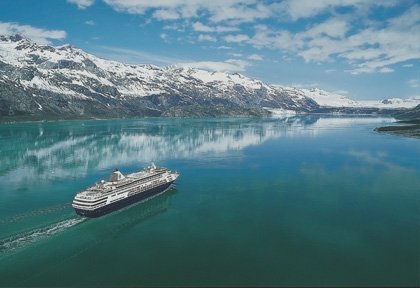 Departing from Vancouver, a cruise along Alaska’s glacier-strewn Inside Passage is one of the most beautiful journeys in the world. 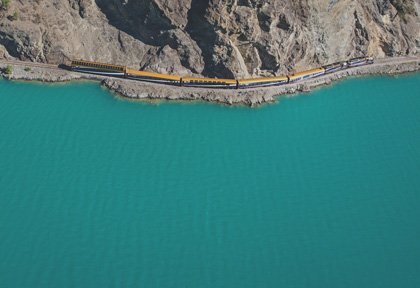 See stunning mountain routes only accessible by rail with Rocky Mountaineer or city-hop on the lively East Coast with VIA Rail. Spot bears & whales in the wild with expert guides & luxury wilderness retreats for the most memorable experiences. 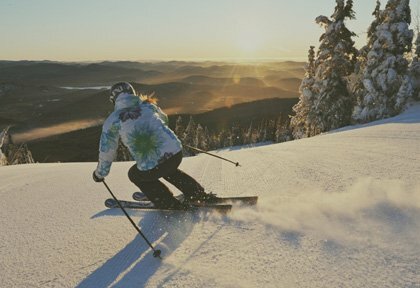 Find lift passes and hotels in world-class ski resorts like Whistler, Banff and Tremblant. Package it up with flights or even try a multi-resort ski safari. Get off the beaten track, stop where you want and stay as long as you like. A motorhome opens up Canada, giving the freedom to explore. Discover a new way to see Canada, with active adventures from flightseeing to horseback riding and kayaking to ziplining. With a tailor-made trip, you can pick & choose where you want to visit. We're here to help you find your bearings & inspire you with our favourite routes. Canada spans oceans. It’s huge, diverse and exciting. And you want a fitting way to explore it. There are lots of different ways to travel - by car, motorhome, train or cruise - so it’s easy to pick an experience that’s right for you. We're on hand to help you break down this enormous country into the places and experiences you really want to see. We’ve spent decades exploring Canada, seeking out the things we think you’ll love. 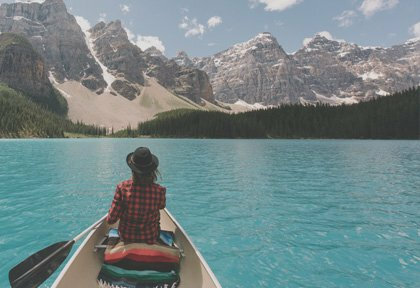 Chat with us for some advice and we'll show you how to live like a local in Canada. We know the best restaurants to grab a steak dinner; the hidden waterfalls and lakes along your driving routes; and the perfectly placed hotel to break up your journey. Browse our website and you’ll find carefully curated tours with hotels, flights and our favourite locations included in the package. But the best part? All our tours can be tailor-made. Think of tailor-making your holiday as ordering a gourmet meal. A smooth flight from your preferred airport is for starters. A meaty fly drive holiday or decadent rail tour makes your main course. 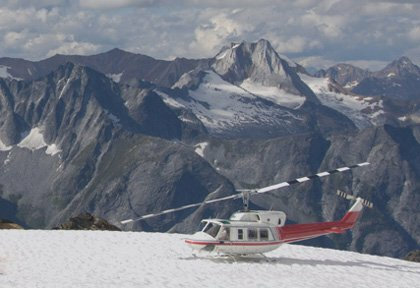 Tempting sides come in the form of helicopter excursions and sightseeing tours. And a hotel upgrade or some extra days at the end could be the cherry on your cake. Whether you choose a set menu or go à la carte, we promise you’ll have an unforgettable holiday that’s just perfect for you. And we’re happy to offer our recommendations if you find you’re tempted by everything. After you’ve tasted Canada, we’re certain that you’ll soon be back for seconds. Our Canada Experts are friendly & knowledgeable, and we've all been to Canada ourselves. Call us to start planning your trip. Discuss the type of holiday you are interested in & what you'd like to see. We'll listen to those holiday dreams & make them reality. Our experts will help you find the perfect car, hotels & excursions that will suit you, so you can get the most out of your holiday. Book over the phone & pay your deposit or balance. We'll send out all the documents you need & will be here to help before you go. Want to speak in person?